A very happy Bear went home with his new forever family on Friday night. His adopters were as excited as he was! 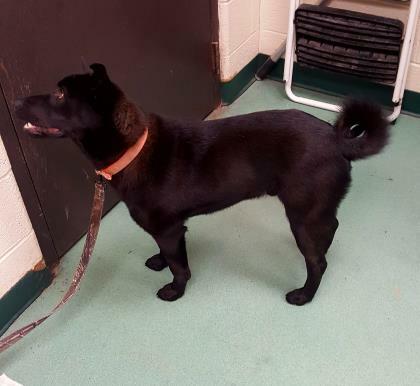 Staff at the Lycoming County SPCA were particularly happy for Bear because he was such a skittish young fellow. He was terrified of most anything, except for humans, and would crab walk from person to person, tail thumping excitedly, as staff cheered him on. Now he can settle in and rest, reveling in the safety and security of a forever home. Bear’s story is a bit unique, as he was found stray just outside of Muncy Prison in early March. “A group of [Muncy Prison] staff members walked outside and there he was,” his finder reports, “It took us a while to get him to come to us. The SPCA was closed at the time, so I called around to vet offices to find one that was open. Loyalsock Animal Hospital was open, so I took him there.” Once the SPCA opened the next day, Bear was transferred to us. He tested positive for roundworms and Lyme disease but was in relatively good shape otherwise. Once she dropped him off at the Animal Hospital, though, Bear’s finder couldn’t shake him off of her mind. “Something about him found a place in my heart,” she says. It wasn’t long before she convinced her mom and dad to adopt him. 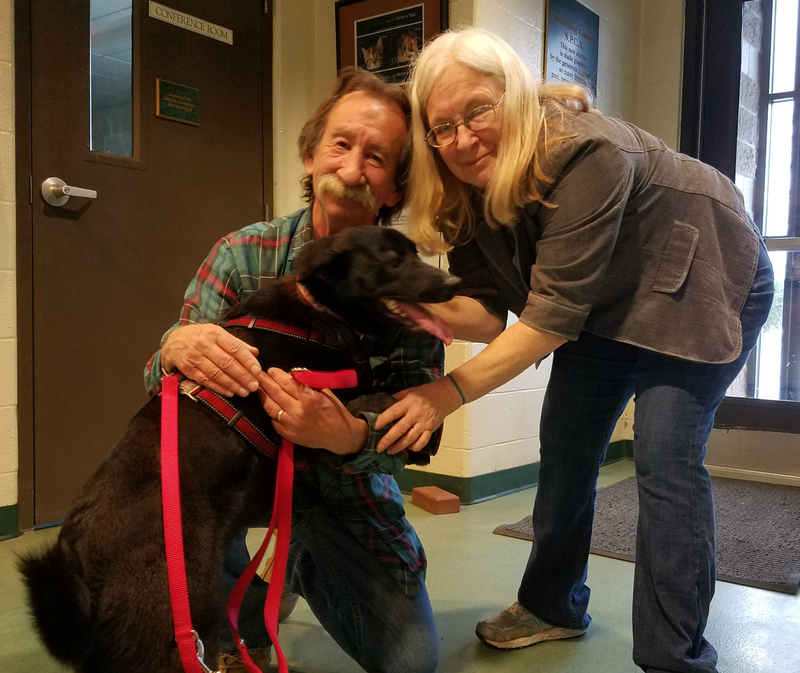 Thus, Bear’s finder and her parents found themselves in the SPCA lobby Friday night, happily welcoming Bear into their arms. Bear received his new forever home and the rest is history. We wish Bear and the Grafius family many happy years!